Bluetooth is a short-range, low-power wireless standard for transmission of digital data that has been around since 1998. It has many uses, but of course the one we are most interested in here at The Headphone List is audio streaming. Bluetooth has evolved a number of specifications and profiles over the years, which can be somewhat confusing and are rarely explained all in one place. The purpose of this article is to provide a brief introduction to Bluetooth technology pertinent to audio streaming. Bluetooth devices come in all manners of shape, size, and function, but as far as audio is concerned there are two basic types – transmitters and receivers. A Bluetooth audio transmitter is any audio source with Bluetooth functionality, for example an iPhone, computer, or dongle that receives audio input from another device. A Bluetooth audio receiver can be a wireless headphone or speaker, or a dedicated audio receiver. The transmitter sends out a digital signal encoded in a way the receiver can recognize. The receiver then decodes this signal and converts it to analog for audio playback. To establish a link between transmitter and receiver and determine which Bluetooth profiles can be used (see Bluetooth profiles section below), an initial setup step called “pairing” is necessary. Bluetooth is commonly listed with a specification version, usually ranging from v2.0 to v4.1. Newer Bluetooth versions are backwards-compatible and any optional components that may follow the Bluetooth version number, such as +EDR (enhanced data rate) and +HS (high speed), do not affect Bluetooth audio streaming. Bluetooth v2.1 simplified and streamlined the pairing procedure back in 2007, which headphones do take advantage of. Later Bluetooth versions improved power handling and power saving functionality, which may affect attributes such as range and connectivity, but anything specified v2.1 or newer will be equivalent as far as audio quality is concerned. With Apple products such as iPhones and iPads, compatible headsets with Bluetooth v3.0 and newer will show an on-screen battery meter. Bluetooth profiles are sets of specifications for how certain functionality must be implemented by Bluetooth devices. There are dozens of profiles for everything from file transfer to wireless printing, but the ones we are interested in are those applicable to headphones and headsets. AVRCP (Audio/Video Remote Control Profile) – provides remote control of media playback (e.g. play/pause and skip/previous track functions); used in conjunction with A2DP. The latest AVRCP versions (1.4 and 1.5) allow direct control of device volume as well. With previous versions, volume controls affected headset volume independently of the connected device. All stereo headphones support A2DP and AVRCP, and – if a microphone is present – at least HSP for headset functionality. Most stereo Bluetooth headsets implement all four of the above profiles. So far so good, but what determines how audio is sent to a wireless headphone? That would be the codec. After the transmitter selects the appropriate profile, it chooses a codec to digitally compress the audio for sending to the headphone. The headphone then decodes the file for playback. Although it is theoretically possible to send mp3s or any other digital format straight to the headphones over Bluetooth, this is not what happens. Instead, the A2DP profile specifies its own set of audio codecs. SBC (Subband Coding) – this is the mandatory default codec for A2DP and is supported by all Bluetooth stereo audio devices. It was designed to provide reasonably good audio quality over the limited bandwidth of Bluetooth without heavy processing power requirements for encoding/decoding. SBC is capable of bitrates up to about 328 kbps at a 44.1kHz sampling rate (source). This is not far off from the maximum for mp3 encoding, though mp3 is superior to SBC in terms of audio quality given similar bitrates (source). The biggest problem from an audio quality standpoint is that SBC is also capable of mid- and low-quality streams, which sound quite compressed and to my ears are unacceptable for music streaming. Sound quality varies widely between different SBC implementations. A generic USB Bluetooth transmitter I picked up for $3 from eBay sounded absolutely atrocious because it defaulted to the lowest SBC quality, but installing a brand-name one with a CSR chipset in its place had excellent results. With some versions of Apple OS X, SBC quality is set to low or medium by default but can be changed manually to increase audio quality and fix other issues (source). aptX – aptX is a proprietary audio codec developed for demanding audio applications. Its use in Bluetooth devices is entirely optional. In fact, aptX is currently supported by only one manufacturer of Bluetooth chipsets – CSR – who acquired parent company APT back in 2010 (source). aptX is designed to encode a CD-quality (16-bit / 44.1kHz) audio stream without loss of sound quality through a combination of slightly higher data transfer rate compared to SBC as well as more efficient audio encoding. The caveat is that both the headphone and the source must support aptX – if either one lacks aptX support, the default SBC codec will be used instead. Currently, aptX support is limited to mostly high-end Android smartphones and Hi-Fi wireless devices. My Nexus 5, for example, does not support apt-X (source). It is also not implemented in Apple devices such as iPhones and iPods. AAC (Advanced Audio Coding) – unlike SBC and aptX, AAC is a codec popular outside of wireless applications, including Apple’s iTunes platform and YouTube. It was designed to achieve better sound quality than mp3 at similar bit rates. Unlike aptX, it is supported by iOS devices. Apple implements AAC over Bluetooth at about 250 kbps (source – pdf), which should compete in fidelity with the best-quality mp3s or any other lossy codec. However, at this time AAC support in wireless headphones is not very common. At least in theory, Bluetooth transmitters automatically default to the “best” quality codec available. The default Bluetooth stereo audio codec, SBC, can sound quite good with the right implementation, especially for on-the-go use. However, it can also produce some horribly compressed-sounding audio at its worst. aptX takes out the guesswork, maintaining consistently high bitrates, but both the transmitter and receiver have to support it and it is not implemented in Apple devices. AAC is supported by Apple devices, but not many other transmitters, and has been picked up by few headphones. For those concerned with audio quality, at least for the time being, aptX seems to be the solution to beat. There are a few more Bluetooth functions that are supported by some current headphones. These are independent of the profiles and protocols listed above and don’t affect audio quality, but are worth mentioning for the sake of completeness. NFC (Near field communication) – NFC is a wireless standard for close-proximity data exchange. While it can technically be considered a Bluetooth competitor, NFC has a very different set of strengths and weaknesses. It has slower transfer speeds than Bluetooth and a much shorter range (a few inches at most), but also uses far less power and does not require “pairing”. There are many different uses for NFC ranging from mobile payments to data transfer. When it comes to headphones, however, NFC is used as a “handshaking” shortcut to establish connection. Bluetooth devices that support NFC can be paired and connected by simply bringing their NFC chips together. In the case of my Nexus 5, this has allowed me to pair, connect, and disconnect NFC-enabled headsets without ever opening the phone’s Bluetooth menu. Doesn’t seem like a big deal at first, but it is surprisingly convenient in everyday use. The caveat, of course, is that that both devices have to support NFC. For a list of devices with NFC support, see here. Multipoint – Multipoint (as opposed to Singlepoint) refers to the ability of a Bluetooth accessory – most likely a headset – to maintain two Bluetooth connections simultaneously. For instance, a Multipoint headset can have a tablet and phone connected to it at the same time. If a call comes in on the phone while music is streaming from the tablet, music playback on the tablet will be paused and the user will be able to take the phone call on the headset. When the call is terminated, the headset will switch back to the tablet and resume music playback automatically. Like NFC, multipoint is not at all vital and has no bearing on audio fidelity, but it’s a pretty nice feature to have that I can see become more widely desired as the popularity of wireless headsets grows. Compatibility – There are some limitations on which Bluetooth devices can work with headsets. For instance gaming consoles such as the PlayStation 4 and Xbox One are not compatible with standard Bluetooth headsets – see the Profile Limitation section below for an explanation of why. In addition, some older basic phones may lack A2DP support if they were not designed for music playback and Bluetooth support on the Windows operating system is a bit of a mess (one of the USB dongles I purchased worked perfectly with one Windows 7 x64 machine but the drivers absolutely refused to install on another machine with the same operating system). Other than that, compatibility shouldn’t be much of a concern these days as newer Bluetooth specifications tend to be backwards-compatible. Any stereo Bluetooth headset will work with an iPhone or Android smartphone, for example. Receiver vs Transmitter – Keep in mind that Bluetooth chipsets don’t always contain both a Bluetooth transmitter and receiver, so if you’re looking to use your Bluetooth headset with your TV, don’t rely on your Bluetooth-enabled sound bar or home theater receiver. Most of the time these devices can receive audio via Bluetooth but are not designed to send an audio stream to a set of headphones. Likewise, 3.5mm Bluetooth dongles are often one-way devices, having either a receiver or a transmitter, but not both. Lag/latency – Because of the encoding-decoding steps done by Bluetooth audio devices, there can be some latency between source and headset, ranging from imperceptible to quite bothersome. It’s not a big deal for music, but causes lip-synching issues with video and oftentimes makes Bluetooth headsets unusable for gaming. As with all things Bluetooth, the severity of lag varies widely depending on hardware and software. In my experience it also seems to vary with distance, with video and audio going out of sync as the headset is moved away from the audio source. One of the versions of the aptX codec mentioned previously is designed to reduce Bluetooth latency and should be suited best for use with a TV (source). 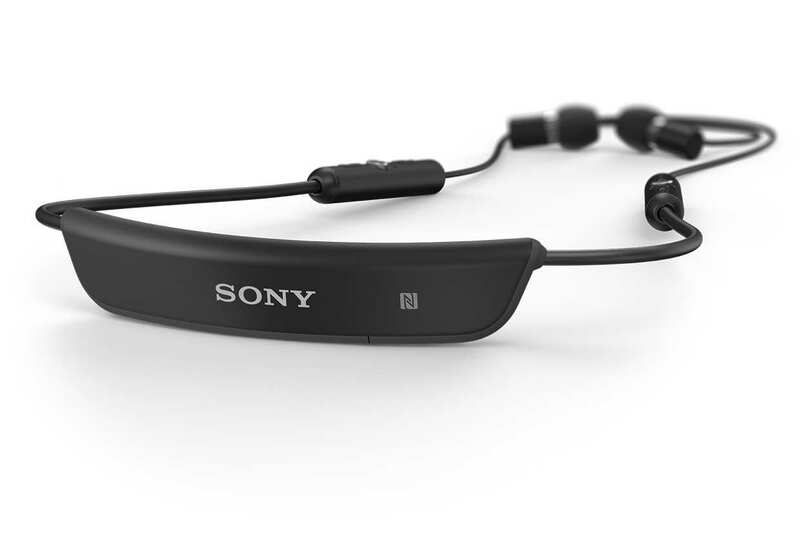 Profile limitation – Bluetooth headsets are currently limited to using one profile at a time. Those who read the Bluetooth Profiles section above carefully will note that this presents a problem as the A2DP profile supports stereo audio, but not microphone functionality, and the HSP and HFP profiles support mics but are limited to low-quality mono transmission. This renders modern Bluetooth headsets unusable for gaming that also requires voice chat, for example, as the audio will come through in low-quality mono rather than stereo. Likewise, while using Skype or any other software that requires continuous headset functionality, any music that is playing simultaneously will stream through headset profile in low-quality mono and sound terrible as a result. Mobile devices such as iPhones and Android phones and tablets do a great job of switching between profiles automatically. Windows PCs and OSX computers – not so much, and may sometimes need to be switched manually depending on software configuration. The rest of the headphone – Coming full circle to the realm of wired audio — a Bluetooth headphone will only sound as good as its audio components. A headphone can support all of the latest in Bluetooth technology, but if the drivers deliver muddy bass and distorted mids, that’s what you will hear. Also, while this overview focuses specifically on Bluetooth technology, in the case of wireless headphones the DAC (digital-to-analog converter) and amplifier – components that audiophiles tend to put so much importance on in wired audio – are both built right into headphone. This can give the headphone designer even more control over the sound, but can also be the weakest link with subpar implementation. Wireless headsets that also support a pass-through wired connection make it quite easy to figure out whether or not their sound quality is limited by the Bluetooth components and built-in amplification. As with conventional wired headphones, there are plethora of Bluetooth devices on the market of all different shapes, sizes, and costs. In addition to the usual considerations when buying a set of headphones, these add complexity by providing Bluetooth specifications for the buyer to mull over. I normally do not recommend looking at headphone specifications as they yield little useful info, but with Bluetooth sound quality in mind there are some things that can be gleaned from the specs. As it turns out, Bluetooth version is mostly inconsequential from an audio quality point of view – any headphone specified as v2.1 or higher should be fine. Likewise, supported Bluetooth profiles are not something to worry about as all stereo Bluetooth headphones support A2DP. All A2DP devices support the standard SBC audio codec, though implementation quality varies. If your device supports aptX, an aptX headphone will take the guesswork out of audio codecs, providing consistently good audio quality over Bluetooth. AAC will do the same for the few devices that support it. NFC and multipoint technologies provide additional functionality and may be a deal breaker for some, but don’t have a bearing on audio quality. The audio components of the headphone itself do, however. At this point, a good headphone can sound quite good over Bluetooth, but a bad headphone will always remain just that. Huge thanks to Sead Smailagic of Sony Mobile for taking the time to field my numerous questions and fill in the blanks. For some Bluetooth wireless headphone recommendations, see our brief Bluetooth headphone roundup. Questions or comments? Leave them below. e-earphone Japan – Featuring Impressions from FitEar, FAudio, Rhapsodio and more! I bought a Sandisk Sport Clip Plus because of the Bluetooth function and a pair of wireless earbuds. The Sport Clip Plus has Bluetooth version 2.13 and the wireless earbuds are Bluetooth version 4.1. It appears as though the two items are paired as the Sport Clip Plus identifies the earbuds and the earbuds blink as though they are paired, but there is no audio coming from the earbuds. The earbuds work fine with my iPhone and iPad so I don’t know what the problem is with the Sport Clip Plus (the volume is turned all the way up), especially since it appears to be paired. Any ideas??? I’m wondering if Samsung Galaxy S7 and S8 support AAC over Bluetooth. I plan on buying Jaybird X3 (they support AAC but not AptX) and would like to avoid being stuck with SBC. Double compression? If, for instance, I am using an Apple device playing an AAC stream at 256kbps, will the device transmit that same stream, or re-compress it and then stream it to a compatible BT headphone? There is a lot of difference between a 256 compression and a 256×256 compression, which could sound more like 160 kbps. This is something I haven’t been able to find a straight answer to specifically as it relates to AAC over Bluetooth on Apple devices. For algorithms that are Bluetooth specific, such as aptX, there is obviously an independent compression instance. For a stream that’s already in AAC format being transmitter over AAC, I’m not sure. That’s what I was wondering about. I was very surprised that Apple didn’t switch to a lossless format for its audio content in recent years, and after the AirPods were introduced and the headphone jack removed, I figured that that might have been the reason. Streaming lossless audio on BT is very power consuming, and is useless if you to transmit it compressed. However, if you transmit the same AAC steam you are playing, your device can save power on decompressing and re-compressing the stream, and your headphones can enjoy real 256kbps audio quality that is not double compressed, which is still not audiophile grade, yet not that bad altogether. I wonder if anyone has the answer. My BT headphone doesnt support Apt-x but everyone seems to suggest me buying an Apt-x low latency bluetooth transmitter for my TV to avoid lip-lagging. From your article, it sounds like there is only benefit with Apt-x if two devices have apt-x. Does the option like this http://www.ebay.com.au/itm/172613555648?_trksid=p2060353.m1438.l2649&ssPageName=STRK%3AMEBIDX%3AIT work? Note, my TV only has digital optical audio out. Lagging? A separate question. I find sound quality isn’t the best pairing my BT headphone (A2DP supported) with my PC. I am not quite sure that’s the case. With my iphone, no problem. This transmitter not help if your headphone does not also support aptX. All benefits of aptX, including the low-latency benefit, require both sides to support it. Chances are that your PC is defaulting to a lower-quality audio stream than your iPhone. I have a Dell xps 8700 desktop which has bluetooth 4.0. Would it pair with Bose headphones, which are A2DP? I’d like to hear music on my pc library, which is much vaster than anything on my Ipad. Yes, all modern Bluetooth-enabled PCs (as far as I know) have A2DP/stereo streaming capability. I have a bluetooth headset 2.1+edr HSP with mic. It connects well with my laptop. but there is a software Dragon Naturally speaking(voice recognition software to control your pc and speech to text typing use). this software supports Headset with bluetooth version 3.0, adapter v2.1+edr. it recognises my headset but it does supports the headset and gives an error “sound is too low.” is it possible if I use my headset with by pairing it through a suitable adapter the audio quality will improve. And also kindly advise which adapter should I buy. Sounds like a software issue to be honest – since there’s no connection issues between the laptop and your headset for regular audio streaming it’s not likely to be a hardware/compatibility issue – I can’t think of a reason the program would limit compatibility to BT 3.0 but not BT 2.1 headsets. I have a ~2 year old set of BT earbuds I bought from Monoprice (branded) for $40 that support AAC. The manual doesn’t say so but when I enable ACC/BT on my MacBookPro and connect I can see AAC is being used. I have a feeling this is often the case – I believe AAC requires a license and I can’t see budget manufacturers like Monoprice wanting to pay that fee to use the AAC trademark. Monoprice blurb states apt-X is supported which is/was owned by Qualcoom – a known licensing abuser. I suspect the decode chip manufacturer added the AAC codec as a matter of manufacturing efficiency and Monoprice is just oblivious. aptX was owned by CSR (as seen in the aptX logo above from when this artcile was published) but it looks like Qualcomm purchased CSR outright in late 2015: https://www.qualcomm.com/news/releases/2015/08/13/qualcomm-completes-24-billion-acquisition-csr . I guess aptX is much more of a known “brand” in the Bluetooth space, AAC not so much. That is correct. I suspect the manufacturer of the Bluetooth chip finds it easier to put both codecs in their chip than manufacture 4 different chips depending on which combination of aptX/AAC/none a headset manufacturer desires. I just spent a few days emailing back and forth with Sennheiser about the AAC codec and they would only say not (officially) supported until the licensing was settled – Now now it appears in the specs. Thanks – great to have some confirmation from Sennheiser! Great info. Are there any 3.5mm BT dongles that both transmit and receive at the same time? I would like to connect my BT headset to a 3.5mm dongle connecting to my landline phone’s headset port. This is not possible if we’re talking about stereo transmitters – see the section above titled “profile limitation”. There are dongles that will transmit OR receive, but not at the same time and you will have to select the mode with a hard switch. Hi, do you know if there is any AAC adapter to listen to music from my pc with my aac headphones? Nope, not aware of one. You rarely see AAC in the specs of this sort of thing, never mind making sure it’s actually transmitting AAC straight to the headphones (which would be extremely hard to tell apart by ear from high-quality SBC). Everything Apple transmit over bluetooth should use AAC. And Velodyne Vfree on-ears support AAC and aptx. But Very few headphones support both. I saw in CSR website that their chips support AAC. And I suspect CSR is the only one to support APTX. Therefore it may be possible that AAC is supported by aptx supported devices. What’s your take on this ljokerl? It doesn’t really address the compatibility and limitations you mentioned in your article. But will the sound quality improvement (if discernible) be worth it? I’ve read a bit about this before. There’s no sampling rate increase (don’t have the bandwidth for that with Bluetooth as far as I understand) so it seems like it comes down to whether the difference between 16 bit and 24 bit audio is something you can discern, all other things equal. I’m not sure what the answer is to that one. It’ll be curious to see which manufacturers will get on board with aptX HD. I don’t see it getting as wide an adoption as regular aptX, but if mainstream manufacturers don’t adopt it it’ll become a niche audiophile wireless-streaming technology like Kleer. We’ll need both hi-fi wireless headphones and high end sources supporting it to really see what’s what. Very informative, but I have a question. I received a Taotronics transmitter (TT-BA01U) for Christmas to use with my iPod Classic. It has paired with all bluetooth headphones I have tried but none of them will allow me to “skip to next song”. Play/pause works, volume control works, but I cannot skips songs. That’s because that particular transmitter interacts with your iPod via the headphone jack. To skip tracks you would need it to send the iPod the equivalent of a “next track” signal from an Apple Earbud remote, which the transmitter can’t provide. I’m surprised play/pause works to be honest. Volume working makes sense because you’re just controlling it locally on the headphones. A transmitter like this one: http://amzn.to/1QNVkqK would interact with the iPod via the dock connector and should allow Bluetooth access to all those additional remote control functions. My Sony hifi is v3 Bluetooth and my headphones are v4 will these not pair? As long as the protocols match (e.g. you’re pairing a stereo receiver with a stereo transmitter) it doesn’t matter what Bluetooth version either uses. great article, but i have this bluetooth headphones with play/pause seek and call functionality and mic. and its working great with my phone S4, but as i don’t have a bluetooth on my laptop i purchased 2 bluetooth dongles ..i paired them and the sound is good but interrupted like every 2 sec , the bluetooth dongle is of 2.0 v both of them.. and by the way in the beginning the sound is continuous for like 15 seconds ,,so please i beg your help. I don’t think I could find a v2.0 dongle to purchase if I tried so that may be the limiting component here – that’s a very old version. However, when it comes to windows with the drivers and software complexities there’s no way I can be sure or help fix it. what to do with my lg bluetooth version csr version 4+edr was soak to water? I don’t believe this would be a practical solution. With very few exceptions, Bluetooth is a point-to-point solution and not good for multi-user applications. In this case, you would only be able to have one user with headphones paired with the dongle, and only one user will be able to stream audio from that particular TV (this can be circumvented by plugging multiple Bluetooth dongles into the TV through a splitter, but this is impractical). To switch to a different TV you would either have to take that transmitter and physically plug it into the other TV, or have a 2nd transmitter connected to the 2nd TV (in which case your headphones will need to be disconnected from the 1st transmitter and paired with the 2nd one to make that switch). This is both time-consuming and inconvenient. Again, Bluetooth is just not designed for this kind of application. For something like this you may be better off going old school with an FM transmitter and having everyone who wants to hear that TV use a small FM radio or an mp3 player or smartphone with FM support to get the audio. Unlike Bluetooth, FM works for an unlimited number of users – they just need to know the right FM band. I did a bit more research after writing you and did indeed find how silly the idea of bluetooth would be in this situation. An FM transmitter is an EXCELLENT idea! Thank you. Hello. Can you please tell me if a pair of bluetooth 4.0 earbuds such as jabra sports pulse wireless are compatible with iPod touch 4tu generation which I think has bluetooth 2.1? Yes, they will be backwards-compatible with the Touch. 1) great and informative article! 2) it didn’t quite address my question, which is: is it possible to use an android device (galaxy tab 2, jellybean 4.2.2) to play music using the internal speakers while simultaneously using a bluetooth headset (plantronics blackwire c720 [which, btw, has awesome sound quality for music and a great mic…not very cool looking, but perfect for working from home]) to make Skype or Hangouts calls? In the bluetooth setting for the headset you can choose to connect for phone, media, or both, but whatever I do, if music is playing and I make a call, it either sends both the call and music through the speakers, or both through the headset. I want the music to continue in the background from the speaker while I talk on skype or hangouts through my headset. Is this an android limitation or a Bluetooth limitation, a skype limitation, or a headset limitation, or some strange combination? It seems like it should be possible and not that complicated. 2) I don’t believe this is possible in practice. While in theory setting your headset to phone only should work, it seems like Android and Apple devices only output one audio stream using the onboard hardware. However, this can be bypassed on Android (my Nexus 5, specifically) by using an external USB DAC (which may or may not be supported by 4.2.2 – not sure). When I use a USB DAC I can use my BT headset to take a call while still playing audio to my wired headphones/speakers via the DAC. The limitation, and this is probably an Android thing, is that the media is paused when the call comes in or goes out, and I have to switch to the music app and press Play again. Hi, I am curious about something that nobody has written about. My iPhone 6 has a Bluetooth 4.0 chipset. My BT headset (and portable speaker) specs says I have a 2.1 chipset. Is there a mismatch? Am I losing sound in the process? I think the sound is fine on my headset. Adding to joker’s response: Newer Bluetooth versions are backward compatible so 2.1 will play on a 4.0 system and a 4.0 Bluetooth headphone will play on a 2.1 transmitter (such as a phone). Newer versions tend to have less lag when watching movies for example, but with music it isn’t an issue, and if issues exist, they are typically manufacturer specific. What matters from a sound quality standpoint is the audio codec, not the version. For example, aptX transmits at a higher quality than SBC. So, if you have an aptX headphone with a SBC transmitter, it will only be capable of transmitting at the lower quality SBC. To enjoy the higher sound quality, you would need both components to have aptX. I am waiting for more headsets / devices to implement higher quality voice profiles. With things like FaceTime / Skype / Hangout calls and wideband audio cellular calls, we need a way to take advantage of the higher quality with bluetooth headphones. Agreed. Unfortunately it’s rare to see this info in headset specs. Probably makes it hard for manufacturers to want to implement it, too, since they would have to educate customers on the tech and its benefits. Thank you for this! I have been looking for awhile for something that breaks down modern Bluetooth profiles / codecs in an easily deciphered manner. Your article is very informative. Thanks to author for a very good article. There is a lot of useful information. But I don’t agree that Bluetooth version doesn’t matter. Different versions have different data transfer rates. Poor radio conditions (for example an obstacle between transmitter and reciever) decrease original bluetooth data transfer rate, so it makes possible the situation when bluetooth bitrate is not enough for apt-x codec which cannot be adjusted for low bitrate. There is a good article with a lot of technical information and experiments: http://habrahabr.ru/post/201000/ The only problem is that it is in russian, maybe machine translation in some browsers is good enough to understand the main ideas. This is a great article! A little tougher to digest than what I was going for, but lots of good info. A question here, for the bluetooth headphone like Creative Aurvana gold which have a mic. I need a dongle that support HSP and A2DP right? do you have any dongle recommendation for it? All i know is that creative release its own bluetooth dongle BT-W1 which seems like out of stock everytime. Yes, that’s correct if you need to use the mic. I have a BT-W1 and it’s a great dongle, but I can’t recommend it for that very reason – it seems impossible to find. I use it with my laptop because the built-in Bluetooth on that doesn’t work so well. My main dongle on my desktop PC is an Azio BTD-V401. It supports aptX and comes with the CSR Harmony software, which works better for me than the stock Windows BT interface. It’s also easier to switch between two different Bluetooth headphones than with the W1 because the W1 installs itself as a USB audio device and handles all the Bluetooth interfacing internally while the Azio and all other dongles install as a wireless interface and add each new paired headphone as a new device in Windows. Hi there from Canada. I’m new to this BT stuff so could you please help. I have BT headphones connected to an Android TV box and it works well, however, it disables the audio on the TV so my wife can’t hear. Is that normal? Thank you, Peter. Yes, it is normal for “smart” devices to route audio to only one output. It’s just not a standard use case to need both outputs active at the same time, so these devices are designed to disable one when activating the other. In most cases this solves more potential problems than it creates. Windows does the same thing – you can’t output the same audio to a Bluetooth headphone and to the standard audio output, at least not without a hardware or software hack. I think the simplest option in your case would be to get a standalone Bluetooth transmitter dongle (example: http://amzn.to/18aoLSe) and hook it up to the “dumb” audio line out on your TV – either the TV or your set top box should have a set of RCA red/white audio out connectors that are always active, even when the TV speakers are playing. Plugging a standalone Bluetooth transmitter into those will give you BT audio without disabling your TV speakers. Could you clarify if bluetooth allows me to have good quality sound at the same time as taking input from the microphone or do I have to choose if I am using A2DP or HSP and cannot use them at the same time? This is the BEST writeup for Apt-x because we all want to get that great music, streaming and self bought, ripped or “other” to our headphones or amps/speakers. I use an Azio 401 with a Sony BM10 and when it works, it sounds clear and crisp. These advances make it possible to add tech to any analogue amp or any amp for that matter. Apt-x is so ‘new’ to the market that there is only one dongle by Azio so the software is finicky. From what I hear from people, AAC is too far from direct connections to be satisfactory for those who have been becoming more and more computer audiophilic. I’d say Apt-x is almost like a quality interconnect upgrade. Reportedly, Toshiba laptops have had this codec in their laptops for some time, thus the Azio website has Toshiba drivers for Windows 7 machines. Wow, I can finally sit back and control what I feed my amp/speakers from afar without have to get up to turn the channel like the old days TV days (getting up to turn the knobs- yes, I am that young). WiFi2HiFi app was good, but I was getting tired of using my old Iphone for that. And how expensive that solution is. I think Sony’s BM10 is quality enough for now, but just like their HD Radio, it will not be a big seller and be discountinued before people really get note of how good it is. Just like their dlna media streamers, which I still use to play my movies on my far more modern TVs. I’ve been using the previous Azio (400) and have been extremely happy with it. Great sound and pretty reliable after it’s set up. However, as you’ve said, the installation of the CSR Harmony software is still a little touchy. On my laptop, for instance, it refuses to install altogether, so I can’t get aptX out of the dongle. 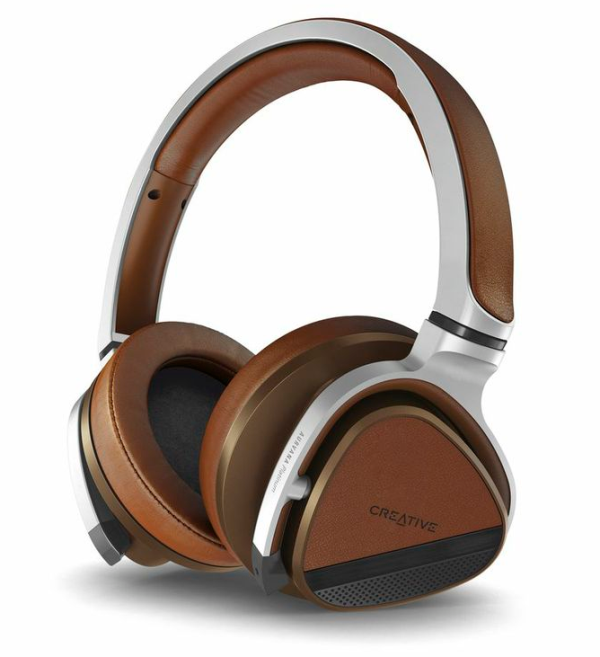 Lately I’ve been playing with a different one – the Creative W1: http://us.creative.com/p/headphones-headsets/creative-bluetooth-audio-bt-w1-usb-transceiver . The way it works is completely different from the Azio and others I’ve tried – instead of creating a new “device” in Windows for each new pairing, there is only one new device created (for the dongle itself) and all audio interfacing is done with that. Then, the dongle itself is easily paired to any headphone via the button on the back of it. It’s really more of a USB audio transmitter than a fully integrated piece of hardware like the Azio V400, but that’s the beauty of it – it makes aptX Bluetooth on Windows completely trouble-free. I see more feature-rich and fidelity-focused Bluetooth devices becoming an increasingly important and catered-to niche in portable and even home hi-fi in the very near future. I am typically a techie person, but this one is out of my league. I would like to have wireless stereo OTE headphones that will work with my home tv, and be able to answer iphone calls (also wirelessly) on the same headphones. I don’t mind muting the tv, if that’s necessary. So I imagine I need a A2DP bluetooth transmitter for the stereo, and bluetooth headphones (preferrable rechargeable wireless)? What specs do I need to watch for on both of these things? Yes, you are correct – you’ll need a Bluetooth transmitter for the TV with the correct input (most TVs have RCA out for audio, but not all) and Bluetooth headphones. Your Bluetooth headphones will have to support a feature called “Multipoint”. This is what allows two simultaneous Bluetooth connections – one to your TV, and one to your phone. In theory you won’t need to mute the TV to answer the phone – when a call comes in that will automatically become the primary Bluetooth stream. Once the call is over, the headset should go back to whatever audio stream you were previously using. I’ve only tried this on two “smart” devices – i.e. phone and tablet, phone and computer, etc.. It should work the same with a screen-less transmitter device but there might be an extra step in there to connect things up. Thanks thats what I needed! I got the idea that I could use my Sony SBH80 with my Yamaha AVR by purchasing an Avantree Saturn Pro, connect it to my Yamaha and pair it with the SBH80. It works great, but when I multipoint pair it with my LG G3 phone so that I can take phone calls, the phone audio is choppy and distorted. If I pause the audio playback, the sound on the phone improves, but is still not as good as when the Avantree is not connected. So, I tried it connecting directly to my Panasonic Viera P65GT50 tv and to my Windows PC. I get the same result, so it is not the Avantree transmitter. I’ve searched the Internet and have not found any complaints about cutting-out or distortion using multipoint. Obviously, the phone is remaining connected to the audio stream while the phone is in use and it is affecting it somehow. This phone has the fasted CPU on amy phone on the market, so I don’t think it’s a lack of cpu power on the phone. I’ve tried changing the order in which the headset and the bluetooth device are paired and connected, but that appears to make no difference. Any suggestions or insight would be greatly appreciated. Couldn’t tell you what’s going on – I use multipoint with phone & computer connected at the same time and haven’t had any issues. In my case only the computer supports aptX but the phone doesn’t, but that’s the same scenario you’re having with your TV (no aptX, probably) and LG G3 (aptX). What happens if you connect it to TV and PC or TV and adapter, but no phone? Thanks, good info on the various techs available! 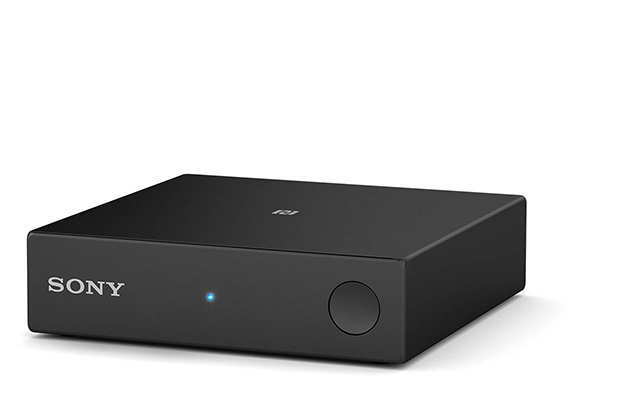 Do you happen to know if the Sony SBH80 also supports AAC codecs? very good article, thank you for taking the time to make things clear! Thank you for such an insightful information. Thanks, happy to be able to put it all together! I’ll be sure to update this page whenever I come across additional relevant info.